Two eggs, any style, hashbrowns, and ham, sausage, or bacon. 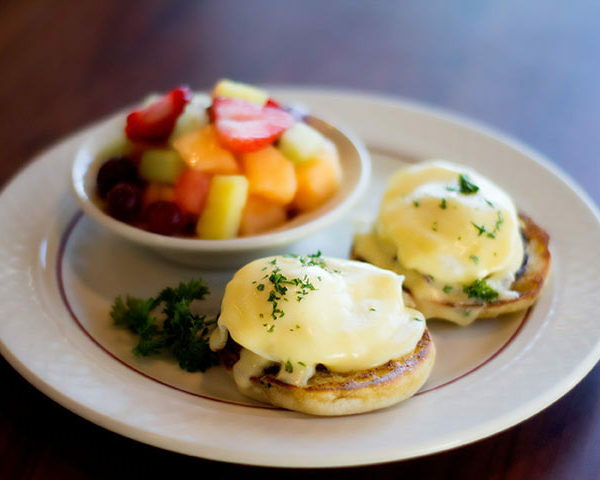 Served with your choice of toast or buttermilk biscuit. Served traditional style with Canadian bacon. House-smoked salmon, potatoes, capers, onions, herbs and spices. 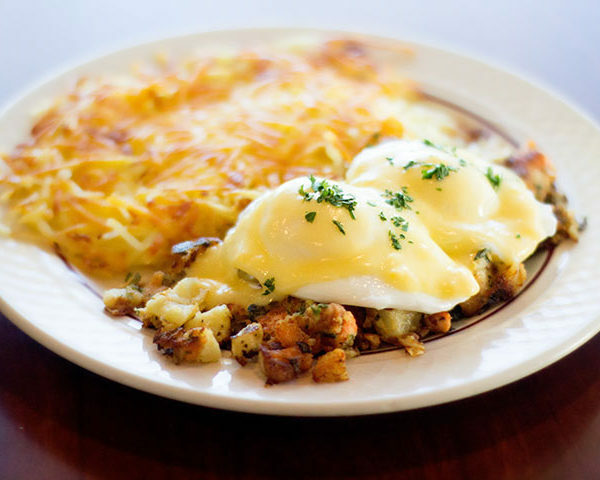 Topped with two poached eggs and a Hollandaise sauce, served with hash browns and toast or buttermilk biscuit. House-smoked salmon with sliced tomatoes, onions, capers, and cream cheese. Served with a toasted bagel and fresh fruit. Egg beaters scrambled with spinach and mushrooms. Served with cottage cheese and fresh sliced tomatoes. Chorizo, bell peppers, potatoes, and cheese blend with avocado, sour cream, and a side of salsa. Served with fresh fruit. 6 oz. chicken fried steak, covered with house-made country gravy, two eggs, any style, hashbrowns, and toast or buttermilk biscuit. Two fresh biscuits with house-made gravy. Served with two eggs any style. 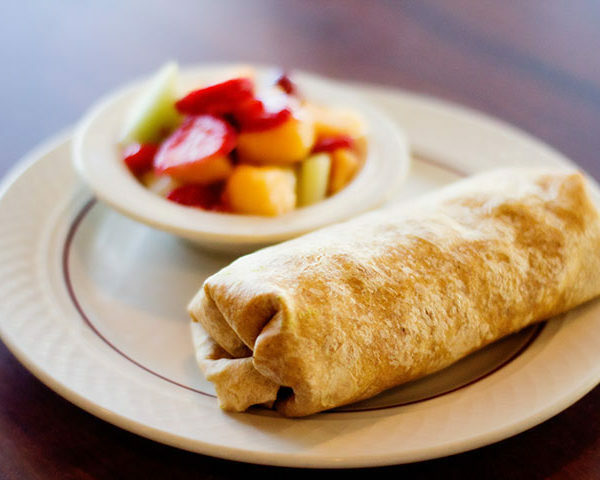 Three house-made Crepes ﬁlled with choice of fresh strawberries or blueberries with orange yogurt sauce, topped with whipped cream, served with two eggs any style and two slices of bacon or two sausage links. Two eggs scrambled with sausage, ham, and spinach, with cheese blend. Served with hashbrowns. Spinach, mushrooms, tomatoes, Kalamata olives, and feta cheese. Ham, peppers, cheddar cheese, and onions. Bacon, sausage, ham, onions, and topped with country gravy. Two buttermilk pancakes with two eggs, any style, and choice of bacon, ham, or sausage links. Three slices of egg bread dipped in a cinnamon vanilla batter, grilled and ﬁnished with powdered sugar, served with whipped butter. 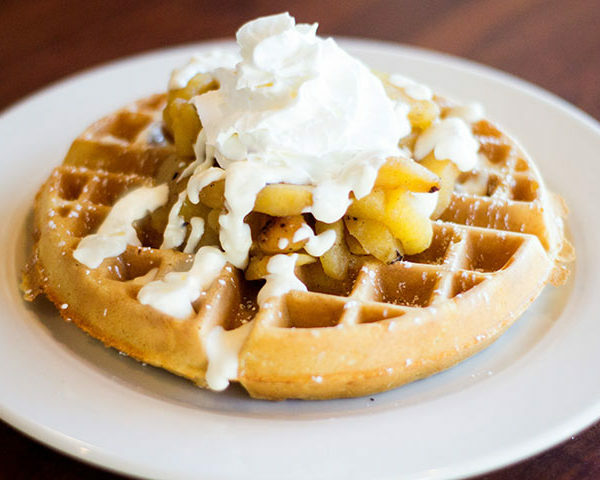 Belgian waffIe topped with roasted cinnamon-sugar fuji apples and a strudel drizzle. Served with your choice of one topping: apple cinnamon, blueberries, strawberries, or filled with chocolate chips. Light and crispy served with whipped butter. Your choice of one topping: blueberries, strawberries, or filled with chocolate chips. Our menu proudly features locally sourced meats and fresh local seasonal produce. *Consuming raw or undercooked meats, poultry, seafood, shellfish, or eggs, may increase your risk of foodborne illness, especially if you have certain medical conditions. Copyright © 2019 Rogue Regency Inn & Suites.